1. . Q: How do I cancel my subscription? A: Login > My Dashboard > Cancel tab > Click one or more of the Cancel Subscription buttons and confirm and your credit card will be not be charged at the next billing date. Cancellations are automated through our system and must be made while logged in. We don't manually cancel free trials via email and a cancellation request via email is not valid. You must follow the instructions above to cancel your free trial. 2. Q: How do I change/upgrade/downgrade my subscription? A: Login to your account. Click here - Billing tab or click on My Dashboard in top right corner. Then click on Billing tab. Once on Billing tab scroll down to Change Subscription section. Select the new subscription you would like to upgrade/downgrade to and click the Submit button. Your new subscription and billing amount will be displayed at the top of the Billing page. 3. Q: When am I billed each month? 4. Q: Do you provide refunds? A: There are no full or prorated refunds. 5. Q: Do you accept prepaid credit cards or gift cards? A: No, we do not. Too much fraudulent use. 1. Q: Every time, I login, I am asked to reset my password. What gives? A: You are using the wrong username. 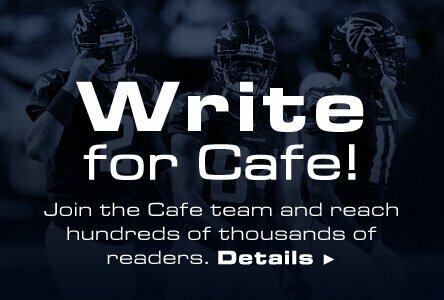 Email us at support@dailyfantasycafe.com and we'll send you your username. 2. Q: Where is the reset password link? 3. Q: I registered for an Account, but can't use the Tools. A: In order to complete registrations, you must click the Verify Email link that was sent to your email address after registration. 4. Q: I'm new to DFS, and there are a number of terms unique to DFS I'm unfamiliar with, do you have a glossary? A: Yes, we do. You can find the glossary of DFS terms here. You should also check out the other information in our Daily Academy. If you have further questions, please post them to our Forum. 5. Q: What is Daily Fantasy Cafe? A: It is your daily fantasy advantage. We offer articles, podcasts and tools unique to our site such as Stack Generator and Colossus, the most powerful lineup optimizer in the industry, to help you win your DFS contests consistently. We also offer promo codes for deposit bonuses, reviews of daily fantasy sites, a forum of active users hungry for DFS conversation as well as other tools such as our easy to digest Cheat Sheets, Vegas Totals, projections (which also feature our site specific and one of a kind Cafe Value) and more! It's your one-stop shop for all the information you need to beat the competition. 1. Q: Are your tools mobile friendly? 2. Q: What browsers do your Tools work on? A: Google Chrome & Firefox on both Windows and Mac. Safari is optimized for Mac. 3. Q: What mobile devices do your Tools work on? A: Iphone 5 and later and Samsung Galaxy 4 and later. Tablets are also optimized. 4. Q: I purchased a subscription, but can't use Advanced Tools in the Lineup Optimizer. - Use google chrome browser. - Check your subscription plan under your Billing Tab in your dashboard to ensure you either have an Advanced Tools or Professional plan. - Check what daily fantasy site is selected in the dropdown on the Optimizer to ensure it matches the daily fantasy site in your subscription. 5. Q: I updated a number of filters and some players I filtered out are still in lineups. A: Tools work off the last action taken. So, if you set the 1st filter and then set a 2nd filter that overrides the 1st filter, the 2nd filter or last action will be used. IE - if you filter out the Atlanta Hawks and then Lock Al Horford, Al Horford will be in your lineups. 6. Q: What time are Projections updated? Projections are updated throughout each day and the date and times stamp when they are updated is visible above the Projections drop down. 7. Q: What time are salaries updated? A: Early morning of game day. 9. Q: When do Cheat Sheets come out? A: NFL – Wednesday, MLB/NBA – Daily by 3pm EST. 10. Q: Within your tools there's a column for CV/Cafe Value, what is Cafe Value? A: CV factors in players salary, players projection and roster positions. It can best be described as a measure of player value that indicates which players provide the most bang for your salary cap buck. The higher the value the better as it takes into account player salary, player projection and roster. 11. Q: I'm having problems generating lineups using Colossus, what should I do? A: Assuming you've changed setting using the filters and advanced options settings, reduce the number of restrictions you're placing on Colossus. If you're still having problems, reset the settings and implement your restrictions in pieces to avoid creating too many restrictions for Colossus. If that doesn't work, click Nuke Tool. If you're generating lineups with a higher percentage of players from the same team then you'd like, reduce the restrictions you're placing on Colossus. If you're still having problems, contact us using the contact link at the bottom or the page. If you're able to take screen shots of the settings you're using, please do so as it they'll likely help us get to the root of the problem more easily. 12. Q: What is Colossus? A: Colossus is our lineup optimizer. It allows users to generate lineups that maximize projected fantasy points while remaining under each DFS site's salary cap and filling each required position. It is customizable and has numerous settings that can be fine-tuned and tweaked to each user's desire, and it also allows for importing projections created by users. 13. Q: What is Stack Generator? A: Stack Generator is another tool that can be used for lineup construction. Stack Generator allows users to customize the parameters for stacking (i.e. number of players in stack, positions to include for NFL, lineup spots to include for MLB and more) before generating stacks. The Stack Generator can be used in conjunction with Colossus by saving the generated stacks you prefer and importing the stack(s) into Colossus. 1. Q: My email is displaying when I make a comment on Articles in the Forums. How do I change this? A: Go to "My Dashboard" and click on "Edit Profile." 2. Q: I'd like to post a guest article in your forum, can I? A: No, you will be banned. See Forum Rules.